CVA Boston 1, pl. 42. 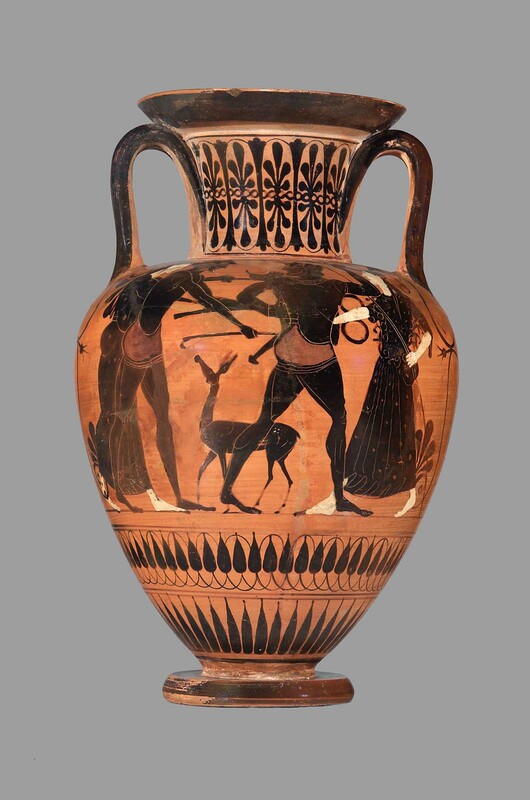 Side A: Herakles and Apollo struggle for the tripod, a fawn between them. Herakles strides to right and looks back, pulling the tripod by one of its legs with his right hand and raising his club in his left. Behind him, Apollo reaches forward grasping a leg of the tripod with each hand. At left Artemis reaches to grasp the upper leg of the tripod. At right Athena holds a spear in her left hand and reaches for the tripod with her right. 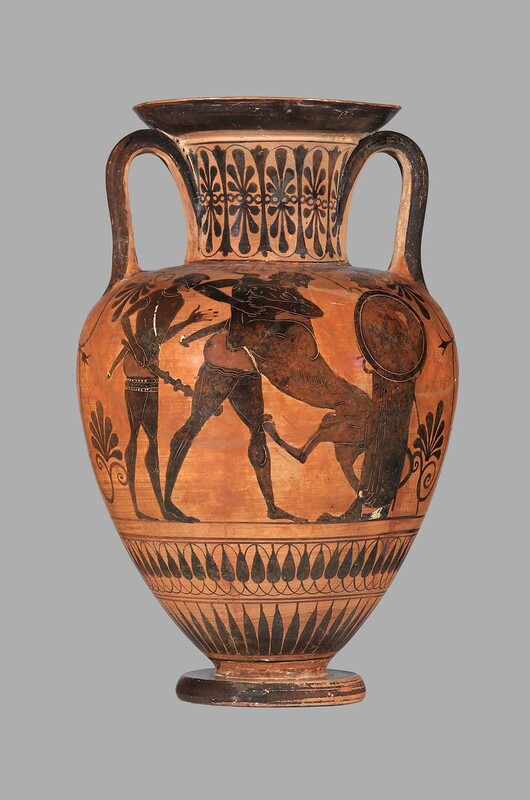 Side B: Herakles in combat with the Nemean lion flanked by Athena at the right and Iolaos at the left. Iolaos holds a club in his right hand. Athena has a spear and round shield. Palmette-lotus chain on neck, lotus bud chain above rays. Palmettes under handles, tongues on shoulders. Body badly misfired. Incising done when vase was too dry, flaking off dry glaze along the edge.